Thursday, March 9, 6-7:30pm, free. 5366 College Ave, Oakland, 510-597-5017, OaklandLibrary.org. The Women Bike Book Club sounds dangerous — like a gang of literate, articulate, informed women with seriously buff quads, who might also just have independent spirits. Maybe they’re threatening to expand stereotyped definitions of “women,” and zoom around the East Bay, telling other people what’s up. They sound perfect. 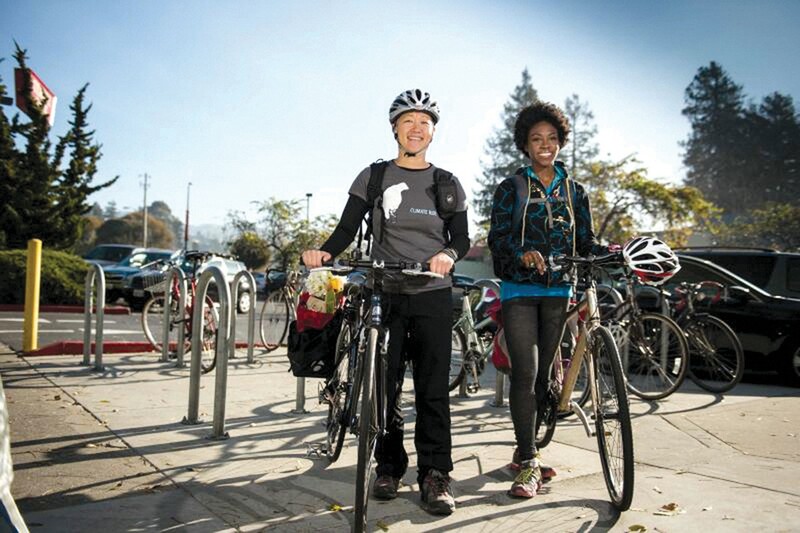 The Oakland Public Library, in partnership with Bike East Bay, will co-host meetings of said group each second Thursday of the month, where women and gender-nonconforming people can gather to talk about books, biking, and liberation. Women’s History Month will host the March 9 roundup at the Rockridge Branch of the library, featuring Frances Willard’s 1895 memoir Wheel Within a Wheel: How I Learned to Ride a Bicycle. Willard led the Women’s Christian Temperance Union, and in her time discovered the freedom and fortifying self-esteem generated when she mastered learning to ride a bike, an uncommon activity for a 18th century woman. Access the book on the library’s online archive, or grab a copy at the Rockridge or the main branch. Visit the club website for future titles, and mount-up on your two-wheeler: Women are on the move in 2017.